Can I get heated seats? Do I have to get a sunroof? 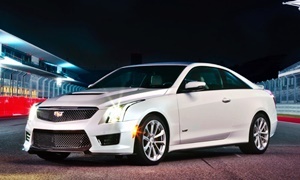 Find out what you need to know about Cadillac features right here. Electronic engine sound enhancementElectronically enhance the actual sounds of the engines, not just a recording. Electronically enhance the actual sounds of the engines, not just a recording. Performance traction managementContinuously modulates throttle to maximize available traction. Driver simply floors accelerator. Continuously modulates throttle to maximize available traction. Driver simply floors accelerator. Performance data recorderRecords acceleration, braking, and cornering data. Records acceleration, braking, and cornering data. Video recorderBuilt in camera captures view forward while driving. Built in camera captures view forward while driving. Active rear differentialActively splits power between the left and right rear wheels, which generally yields sportier handling. Actively splits power between the left and right rear wheels, which generally yields sportier handling. Downshift rev matchingEngine automatically matches revs when manual transmission is downshifted. Engine automatically matches revs when manual transmission is downshifted. No-lift shiftElectronically controls throttle during manual transmission shift so there is no need to lift off the accelerator. Electronically controls throttle during manual transmission shift so there is no need to lift off the accelerator. Carbon fiber trimWon't be listed in conjunction with wood or aluminum trim even if they are available together. Won't be listed in conjunction with wood or aluminum trim even if they are available together. Coordinated climate control, front seatsCoordinates seat heaters (and ventilated seats and/or heated steering wheel, if present) with climate control system. Coordinates seat heaters (and ventilated seats and/or heated steering wheel, if present) with climate control system. Power thigh bolsters, driver seatPower adjustable bolsters on the seat cushion, to prevent sliding out of the seat in hard turns. Power adjustable bolsters on the seat cushion, to prevent sliding out of the seat in hard turns. Power thigh bolsters, passenger seatPower adjustable bolsters on the seat cushion, to prevent sliding out of the seat in hard turns. Synthetic suede steering wheelSynthetic suede steering wheel rim. Synthetic suede steering wheel rim. 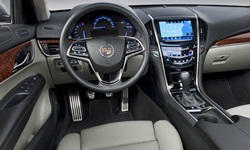 None of our members have yet commented on the available features of the 2019 Cadillac .